Few if any 20th century warships were more justly acclaimed than the destroyers of the U.S. Navy's Fletcher class. Admired as they were for their advanced and rakish design, it was their record as workhorses of the Pacific War that placed them among the most battle-tested and successful fighting ships of all time. This title describes the Fletchers and their Allen M. Sumnerand Gearing-class derivatives, their machinery, armament, and construction, with a listing of all 343 ships by hull number and builder. 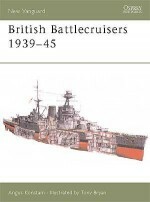 It features an operational history of the 287 ships commissioned during World War II, which traces the evolution of night surface action tactics in the Solomon Islands and the parallel development of the Combat Information Center; the drive across the Pacific and liberation of the Philippines with tables showing the rapid introduction of new squadrons; and the radar pickets' climactic stand against kamikaze aircraft at Okinawa. With summaries of losses and decorations and specially commissioned artwork, this is a definitive book on the wartime US destroyer classes. Dave McComb is a management consultant specializing in business process development. A lifelong student of World War II destroyer history, he has in recent years promoted the subject extensively via the web and numerous articles. He is president of the Destroyer History Foundation, which he organized in collaboration with World War II shipmates for the purpose of making original source documents accessible and preserving their perspectives and collections.